Stateless Immigrant: My cell phone is dead. Long live new cell phone! 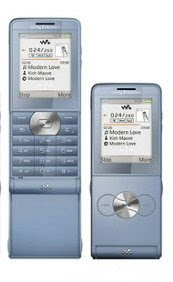 So after my fifth Motorola RAZR gave up its ghost, I think I have finally learned the lesson and picked a different phone: Sony Ericsson w350. I had to sell my immortal soul to AT&T for two further years to get the phone for free. Inexplicably, only the ice blue version was offered for $0 with an upgrade, other colors cost $29.99, once again showing that some people are willing to spend palpable amounts of money on things as ephemeral as color of their cell phones. Since my two-year contract with the devil has run out in June, I was toying with the idea of switching providers, but AT&T is the only cell phone carrier who offers GSM/GPRS compatible phones and service in Europe out of the box for no additional charge, just crazy expensive minute rate. So after looking at a few others I resigned myself to AT&T once again. The selection of the phone was not very hard, and I am hoping the new device will turn out to be as good as it looks on the web. 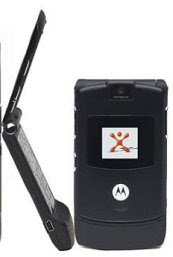 Supposedly, it has up to 7 hours talk time, while being comparable in size and weight to the infamous RAZR. I ordered the phone online and it should arrive tomorrow or Thursday. In the meantime, I have no cell phone and am enjoying the life without my electronic leash.